“BlacKkKlansman,” which premiered in May at the Cannes Film Festival, is quintessential Spike Lee, impassioned and messy and vital as anything he’s done in decades. It’s also far more accomplished a piece of filmmaking than many of Lee’s recent narrative films. 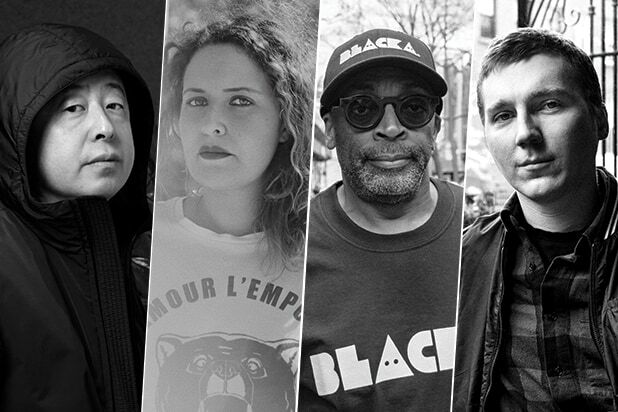 Let’s face it, the director of “She’s Gotta Have It,” “Do the Right Thing” and “Malcolm X” has long been an iconic director, educator and activist, but films like “Red Hook Summer,” “Miracle at St. Anna,” “Oldboy” and even the spirited but uneven “Chi-Raq” just didn’t have the impact or the quality of his earlier films. His television documentaries, including “When the Levees Broke: A Requiem in Four Acts” and “If God Is Willing and da Creek Don’t Rise,” have fared better. But “BlacKkKlansman” is Spike Lee standing up and showing that dammit, he’s still Spike Lee. Which is to say, it’s a crazy story fueled by righteous anger but also leavened by humor — and if it overreaches at times, gets preachy at others and sometimes threatens to go off the rails altogether, it’s also one hell of a ride. The film is based on a true story — or, as a note in the opening credits puts it, “DIS JOINT IS BASED UPON SOME FO’ REAL, FO’ REAL S—.” In the 1970s, an African-American policeman in Colorado Springs answered an ad in the paper looking for Ku Klux Klan recruits, infiltrated the organization with the help of a white colleague for when he was actually needed in person, and stopped some planned violence. That sounds wild enough already, but Lee makes it crazier and wilder, draws parallels to the present day and then grabs the biggest Magic Marker he can find and draws circles and arrows to make sure we don’t miss the parallels. He also kicks things off with Alec Baldwin delivering a monologue so racist and offensive that the Cannes audience was forced into uneasy laughter. That approach could lead to inevitable questions about whether joking about the KKK and racism would diffuse the impact Lee’s story might otherwise have had — but we’re at a point where Stephen Colbert, Jon Stewart and “Saturday Night Live” have been among our most effective political commentators in recent years, and Michelle Wolf recently showed that barbed humor can cut deep. So “BlacKkKlansman” portrays some Klansmen as buffoons without ever losing sight of their poisonous rhetoric, and keeps the audience laughing until it becomes impossible to laugh. John David Washington, the son of frequent Lee collaborator Denzel Washington, plays Stallworth as a man of humor and dignity who’s asked to be “the Jackie Robinson of the Colorado Springs Police Department,” but isn’t sure he has what it takes to ignore the crap he has to put up with. He’s winging it when he decides to infiltrate the KKK with the help of colleague Flip Zimmerman (Adam Driver), who himself needs to hide the fact that he’s Jewish from his new Klan buddies. Laura Harrier plays the head of the Colorado College Black Student Union with righteous anger, an Afro that outdoes Washington’s and a storyline that brings in a little romance and a quick lesson in “Soul Train” dance moves and Blaxploitation heroes of the early ’70s. It sounds tailor made for the raucous messiness that Lee often indulges in, and there is some of that in “BlacKkKlansman.” But what’s surprising is how controlled and sometimes subdued it is. Lee is a patient filmmaker here; he eases into his story and lets it breathe rather than hurrying to get to the fireworks. A scene in which black-power activist Stokely Carmichael (played by Corey Hawkins) speaks to a group of students lets the speech play out for long minutes, and Lee makes every word pay off. 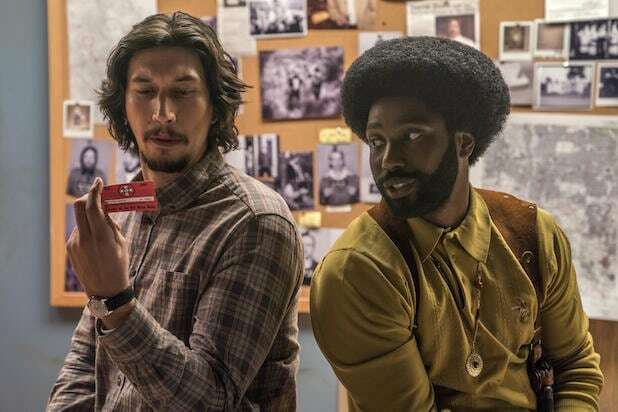 Of course, filmmaking restraint is a relative concept; while “BlacKkKlansman” is one of Lee’s most quietly assured films, the anger that drives it has plenty of opportunities to boil over. He’s particularly eager — in an occasionally hamfisted way — to draw parallels between the climate of the early ’70s and the one of today. Thus, we get lines in the Carmichael speech that could have been written in the heat of Black Lives Matter. And we get a young David Duke outlining a strategy that he says will bring the Klan’s issues — race, immigration, white nationalism — into the political arena and even elect a president on those issues. “[We] will never elect somebody like David Duke president of the United States of America,” scoffs one character. Tonally, the movie swings between humor and horror and heart, sometimes sloppily but more often effectively. You know Lee is milking it when he juxtaposes a Klan initiation ceremony with elderly activist Jerome Turner (played by Harry Belafonte with his typical authority) telling students about the lynching of a teenage boy in 1914 — but it doesn’t matter if he’s milking it, because the sequence has a power that’s impossible to ignore. By the end we’ve gotten a chunk of D.W. Griffith’s “Birth of a Nation” and then, over the end credits, appalling footage from Charlottesville, Va., to once again make it clear that the film may be set in the 1970s, but this ain’t no period piece and Spike Lee ain’t messing around.